The Sunfish Race version provides owners with competitive parts for optimal sailing and racing. Please email us to discuss the type of boat you would like along with sail color specifications, and delivery options. 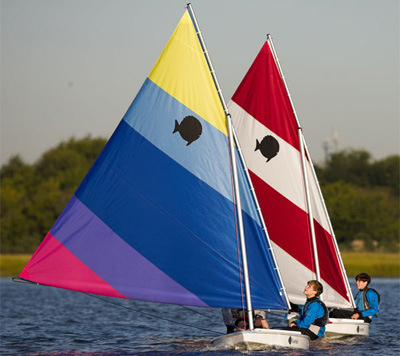 The International Sunfish Class sanctions more than 1,000 racing events each year. 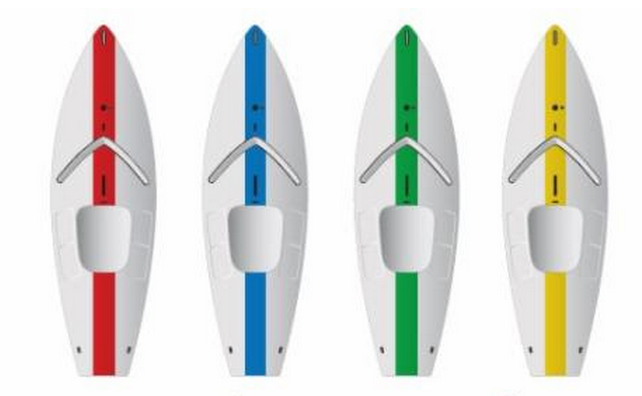 2014 saw the release of two separate blade packages for the Sunfish. GRP infused blades come standard in this racing class version. Shoreline Sailboats is proud to be an authorized dealer for the Sunfish from Laser Performance. 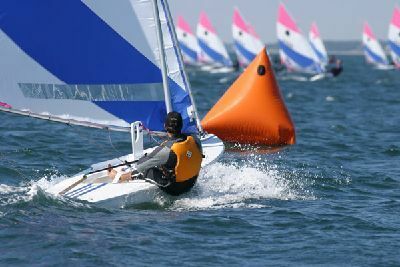 LaserPerformance is the only builder of the original Sunfish, and produces about six new boats per day at their shop in Portsmouth, Rhode Island. We especially like the Sunfish for its versatility as a kid-friendly family boat, and an all out racing machine. We recognize the Sunfish as an amazing boat because it has such a long and rich heritage. Sunfish sailors are an incredibly diverse group who share a passion for one of the most popular boats ever conceived. The Sunfish is the most popular recreational sailboat in history. Its classic design, unmatched stability and sailing ease are enjoyed by all ages. Owners appreciate the lightweight hull, which easily travels on the top of a car. The ultra-durable construction ensures years of maintenance-free enjoyment. Sailing trips are a breeze, just load the Sunfish on your car and go! This is the classic boat you grew up with. The Sunfish has two easy to rig lines and easy-snap sail rings. World class racers such as Dennis Conner, of America’s Cup fame, and Gary Hoyt, who developed the Freedom class and won the first Sunfish worlds in 1972, learned to sail at the slim wooden tiller of the Sunfish.